Ford will reveal significant electrification, commercial vehicle and SUV news as part of the company’s vision for a new era of mobility at a special “Go Further” event in Amsterdam, Netherlands, on April 2. The motoring giant said this new generation of “smart vehicles for a smart world” will contribute to a cleaner and quieter future, and will bring Ford’s brand values of trust, affordability and fun-to-drive to electrified vehicles. 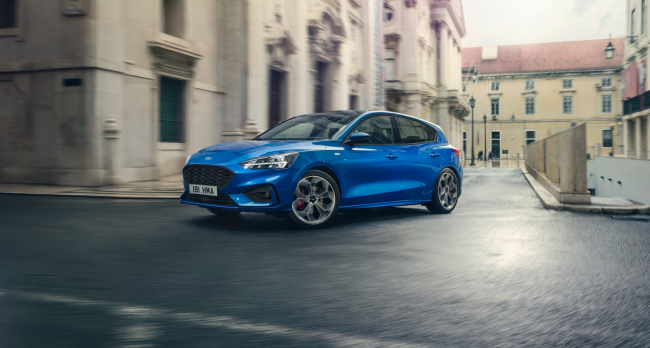 Ford also announced that new 48-volt mild-hybrid Fiesta and Focus EcoBoost Hybrid models will be introduced next year, helping Ford offer one of the most comprehensive and compelling vehicle line-ups and bringing the benefits of electrification to greater numbers of consumers. A belt-driven integrated starter/generator (BISG) replaces the standard alternator, enabling recovery and storage of energy usually lost during braking and coasting to charge a 48-volt lithium-ion air-cooled battery pack in the vehicles. The BISG also acts as a motor, that integrates with the EcoBoost combustion engine, using the stored energy to provide torque assistance during normal driving and acceleration, as well as running the vehicle’s electrical ancillaries.